Sofreliner Tough S is a soft chairside denture lining material. This addition-cured silicone material has a lower hardness than the original Sofreliner Tough M and is intended for use with sensitive or healing soft tissue. 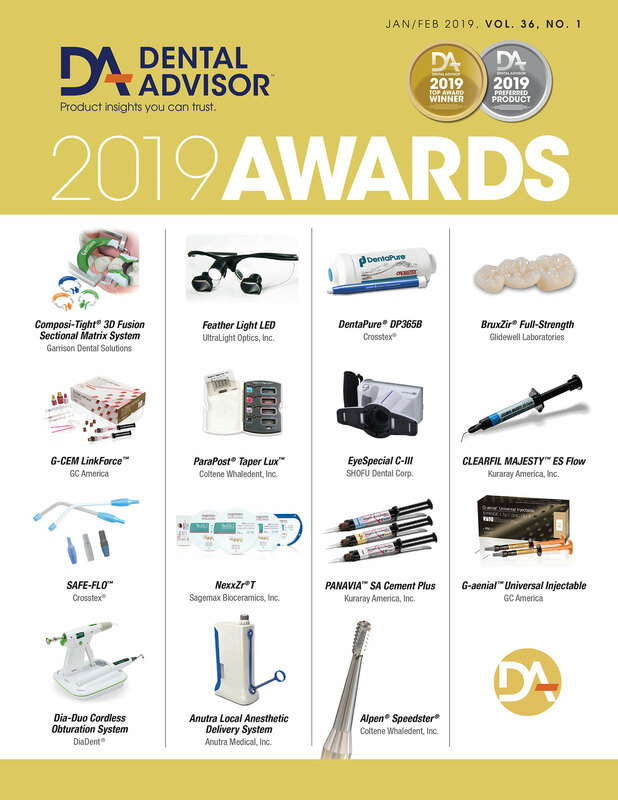 It is indicated for use in removable prosthesis with poor retention due to ridge atrophy; pain caused by sharp ridges of bone, undercuts or tori; retention of overdentures before final attachment placement; and as a temporary lining or tissue conditioner. Sofreliner Tough S is provided in an automix cartridge and has a working time of 2:00 minutes and an intraoral set time of 5:00 minutes. The kit contains a 52 g cartridge of Sofreliner Tough S, 10 mL of primer, mixing tips and accessories. Sofreliner Tough S was evaluated by 14 consultants in 62 uses. 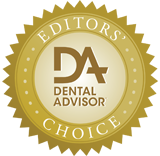 This chairside soft denture liner earned a 96% clinical rating. Sofreliner Tough S is provided in a complete kit with all of the items necessary for the clinical procedure. Ten mixing tips are included for multiple applications. Dispensing and application of Sofreliner Tough S are neat and easy with the automix cartridge. The viscosity has enough flow to allow spreading onto the surface of the prosthesis and complete seating in the mouth. Working time is adequate; consultants would prefer a shorter intraoral setting time. Gross trimming of the material was best accomplished with a scalpel blade or scissors. A rotary abrasive point and a polishing wheel are included in the kit. These are helpful in blending the reline material to the acrylic at the borders. Sofreliner Tough S adapted well to soft tissue and produced a very good fit. 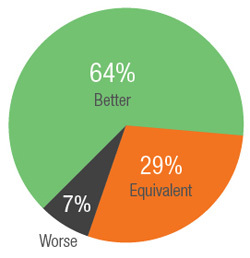 Ratings for tear resistance ranged from good to excellent, depending on patient factors. Resistance to staining and cracking was rated very good by consultants and patients. 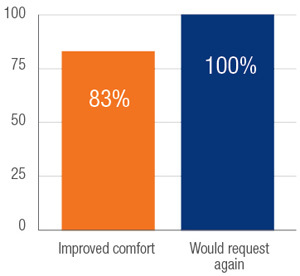 The fit and comfort of was rated excellent by the majority of consultants and resulted in a high level of patient satisfaction. 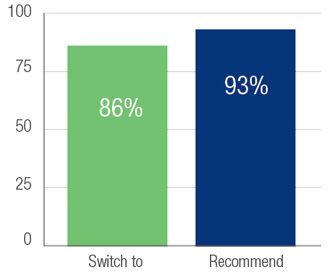 Eighty-three percent of patients reported that Sofreliner Tough S improved the comfort of their prosthesis and 100% would request it again. 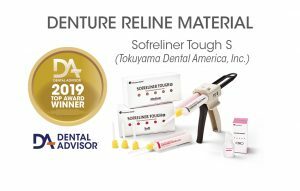 Sofreliner Tough S adheres well to denture base material, and consultants experienced some difficulty when removal was necessary. Be sure the primer is completely dry before applying the reline. Dispense Sofreliner Tough S directly into the denture or partial and spread with a spatula to create an even layer. Make sure to spread the reline covering all areas where the primer was applied. Use Silicone Remover (Tokuyama Dental Corp.) to facilitate removal of Sofreliner Tough S from acrylic surfaces.